Xur is selling stuff, as usual. 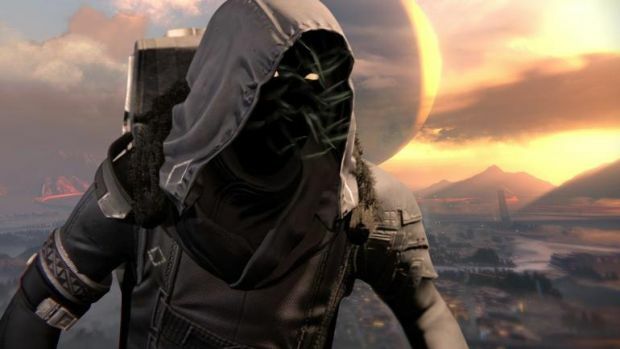 Exotic vendor Xur, known more for his face tentacles than valuable loot, has returned to the Tower in Bungie’s Destiny. You can find him in the Lounge of the Tower Hangar near the jukebox where he will remain until June 4th, 2 AM PST. This week, Xur is carrying Crest of Alpha Lupi (Titan chest), Mask of the Third Man (Hunter helm) and Skull of Dire Ahamkara (Warlock helm), each for 13 Strange Coins. Crest of Alpha Lupi is useful for Titans as it allows them to revive teammates faster. Mask of the Third Man is decent for Bladedancers while Skull of Dire Ahamkara is decent for Voidwalkers. In terms of Exotic weapons, you have the auto rifle Hard Light. At 23 Strange Coins, it offers a fairly large clip and no damage drop-off. The problem is that it fits into the low damage/high rate-of-fire archetype and has way too much shaking while aiming down sights. Not even the bouncing projectiles are worth it. Pick it up to complete your collection if you so wish. For more information on Xur’s other items, simply head here.